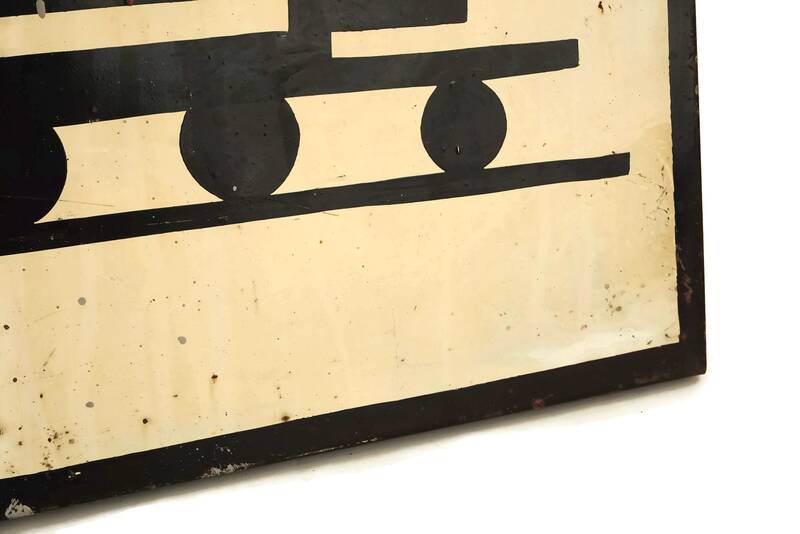 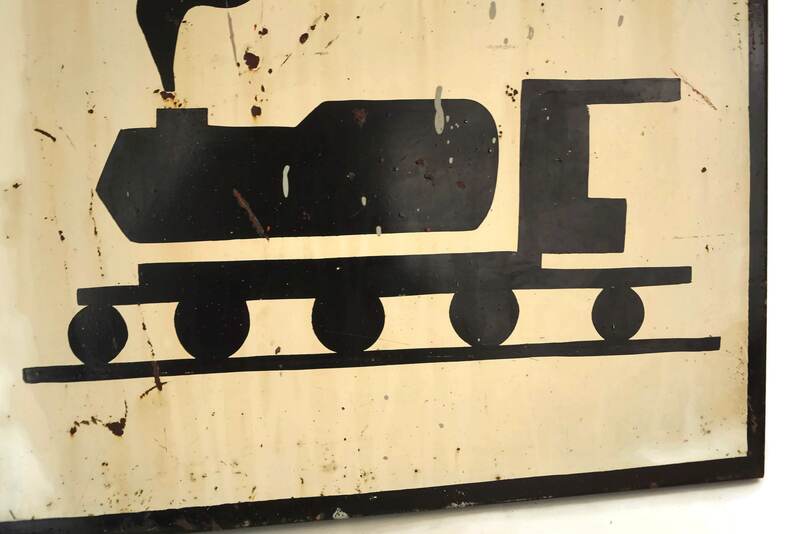 A rare vintage French train crossing sign found at an antiques fair in the south of France. 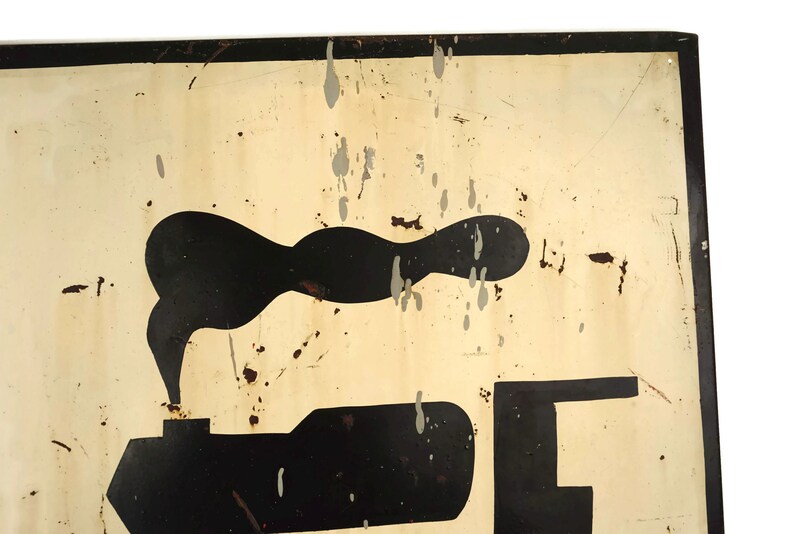 It was originally displayed on a country road as traffic warning signage. 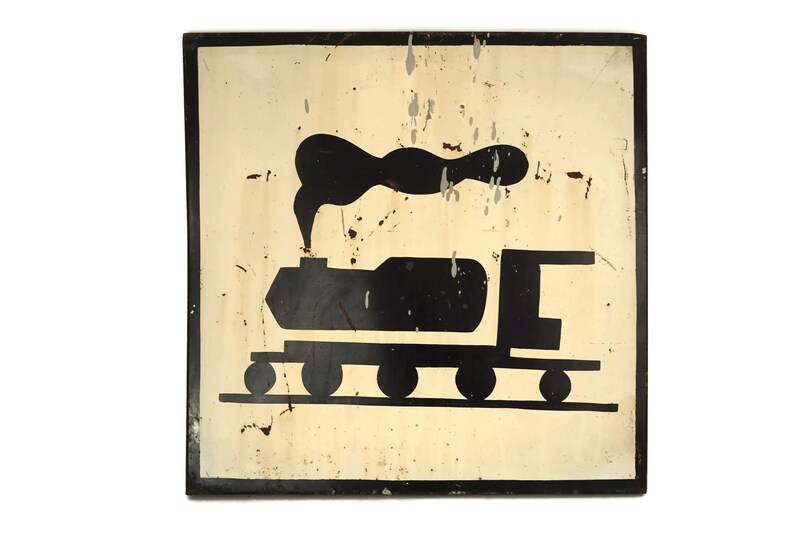 It has been manufactured from metal and decorated in black and beige with a large graphic of a steam locomotive train. 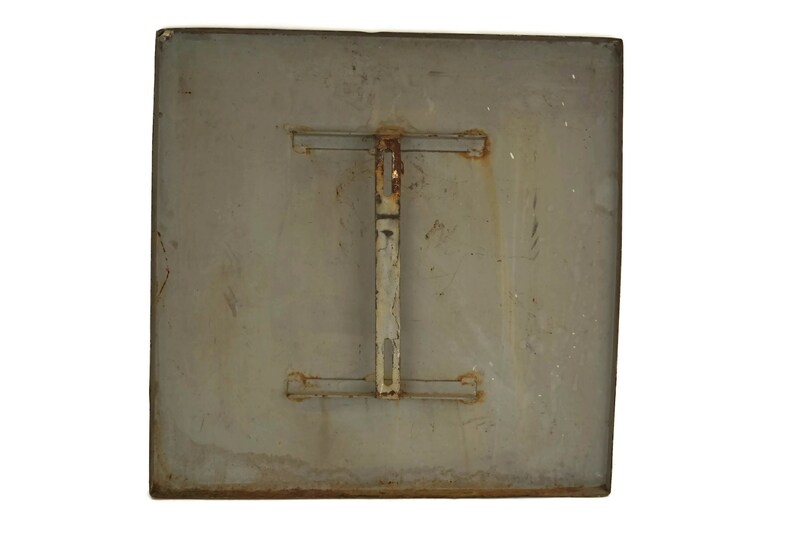 The reverse side of the industrial wall sign has a bracket for attaching to a stand. 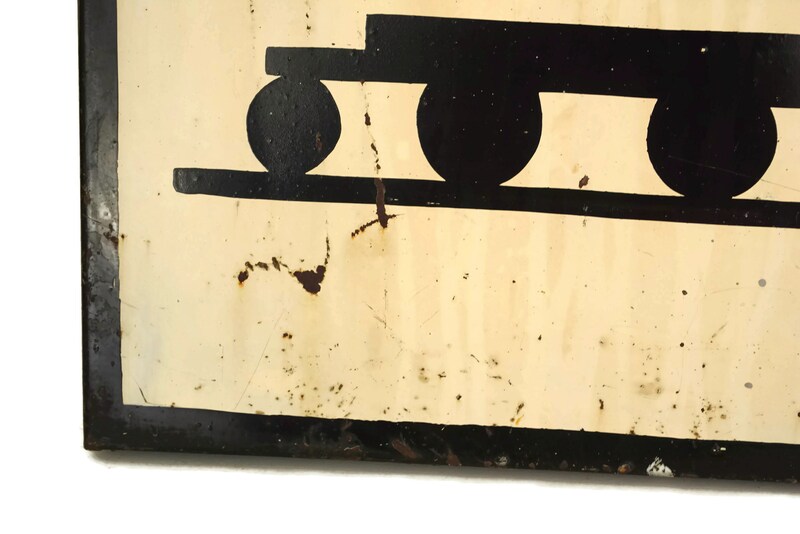 (60 cm x 60 cm). 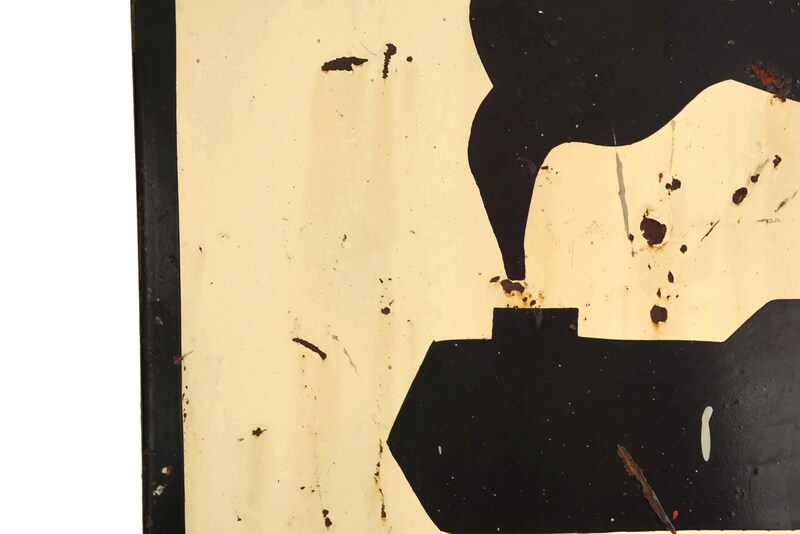 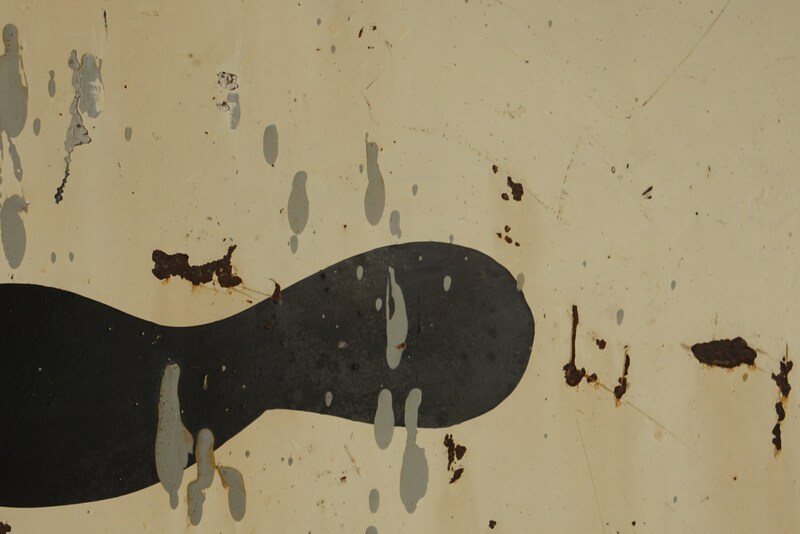 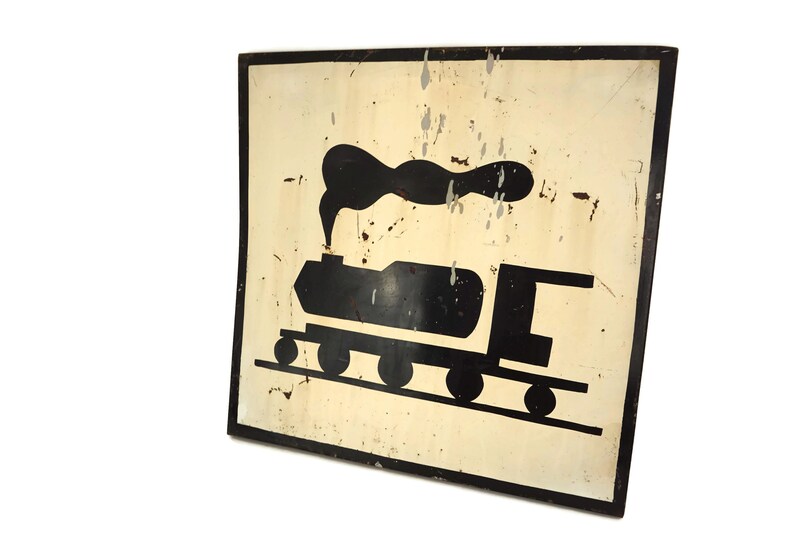 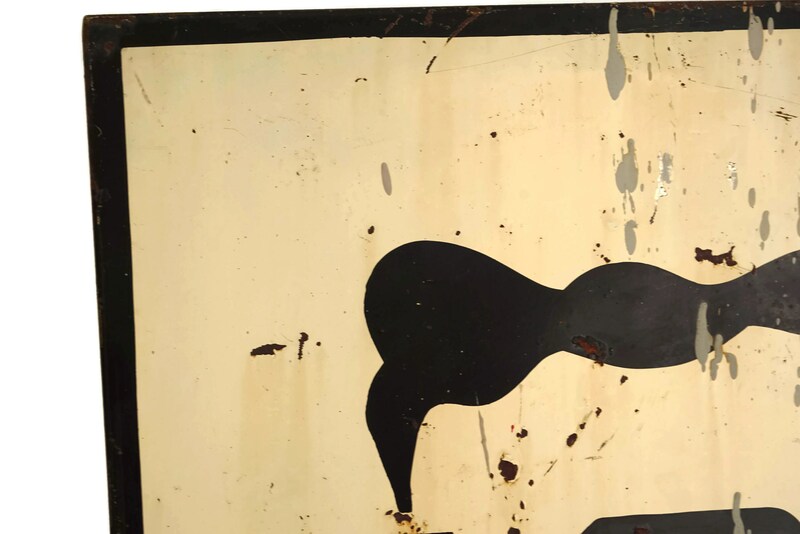 The vintage train crossing warning sign is in good condition with signs of age including knocks, flakes to the surface, paint drip marks and overall signs of wear.